Having a healthy body is a substantial need for everyone. It impacts the way of living and our daily routine. In this era, routines are getting busier with time, so there is not enough time to take care of health. The good news is that your iPhone can help you to be fit and maintain your healthy diet. iPhone can inform you the number of daily calories you should intake. 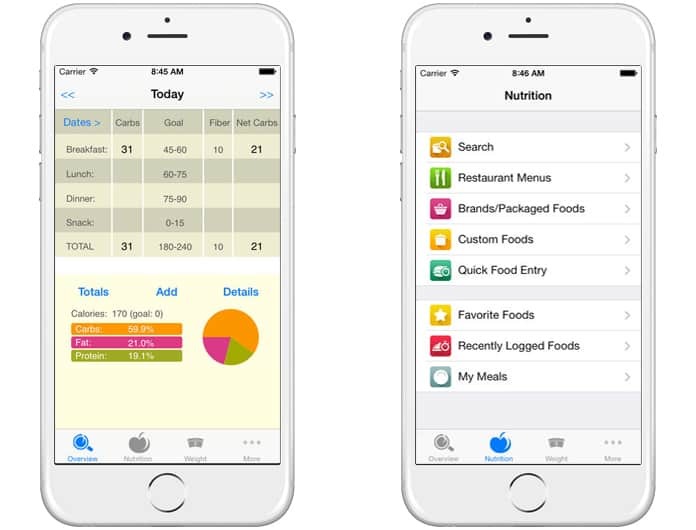 It is straightforward and doesn’t require much time to check daily diet information using diet apps on iPhone. Losing weight and burning fat is so easy when you use some of the best diet apps for iPhone, iPad, iPod, Apple Watch and Android. Staying healthy is very important and nowadays everyone keeps a check on their food intake and the required amount of calories that one should take. So for that reason, we are giving you the best information about several useful diet apps in following. If you want to know daily data of calorie count you are in taking in the form of different foods, this MyNetDiary is a right choice for you. 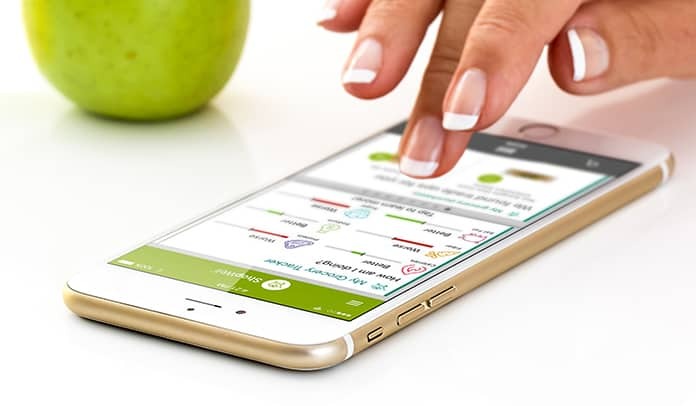 This amazing app comes with the list of more than 77,000 food items among them you can see anyone with complete nutrition information. This app also helps you to connect with a personal dietician and nutritionist. In any case, when there is no information about your desired food, you just have to upload the picture of that food. As a result, the complete nutritional information about that specific food will available to you within 24 hours. So, using this app you can easily check your diet and can get amazing healthy results. You can download this app from App Store and it is compatible with iPhone, iPad, iPod touch, Apple Watch and Android. MyFitnessPal is one of the best diet apps if you want to start a new diet, lose weight, tone up, get healthy, or change your habits. This app is world’s most popular health and fitness app. 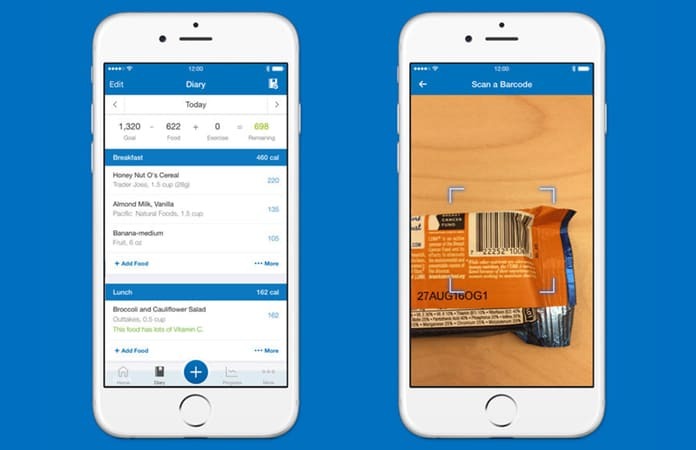 MyFitnessPal has the biggest food database, barcode scanner, recipe importer (easily import the nutrition information for the recipes you cook) and it also has a calorie counter that automatically calculates the calories in your foods, meals and recipes. This app has a water tracking option and it can also track calories, fat, protein, carbs, sugar, fiber, cholesterol, vitamins, and more. It is compatible with iPhone, iPad, iPod touch, Apple Watch and Android. 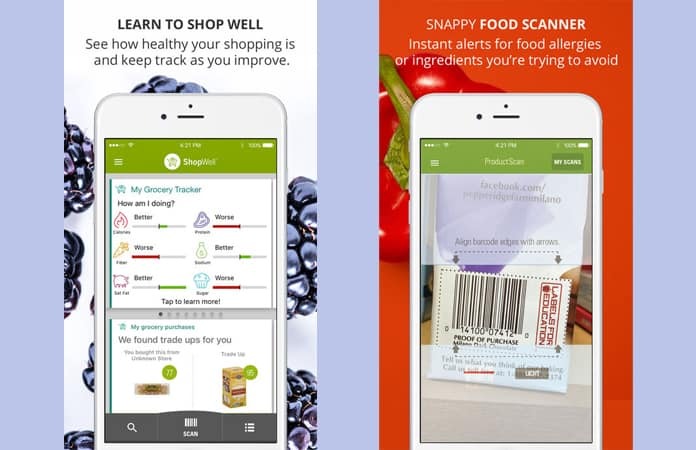 ShopWell is a great app which can be considered as your personal app which plays its role when you are purchasing different groceries. When you are dieting, it will recommend you the right groceries from the market. Its features include the availability of food scanner which can scan any food which you want to buy. So, by knowing the diet facts you can make a correct decision about any particular food before buying anything. This app also provides you different recipes and list of new food. This app has its different features which are more suitable for those people who are trying to eat low-carb food. The patients with diabetes are also advised to use this app. It will help them to check and balance their carbs level. 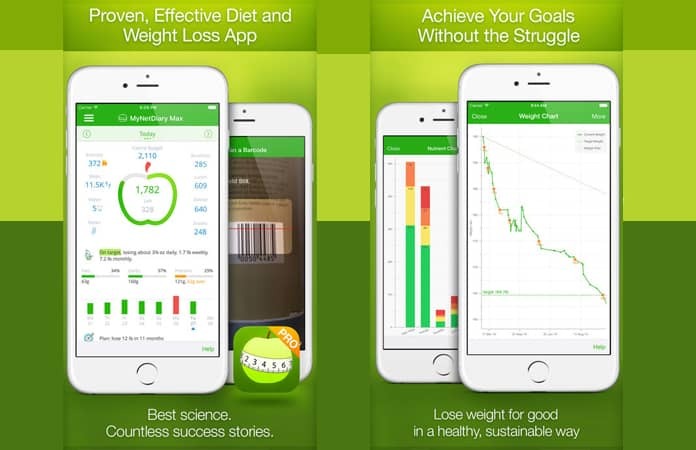 This app is professionally developed to work with South Beach Diet, Atkins Diet, and many other low carbohydrate diet plans recommended by doctors. This app does not demand internet connection and can help you to avoid overeating of carbs to ensure your long healthy life. Cronometer app has many major advantages and it can be used easily to track daily diet. It can be used on iPhones as well as Android phones. It can track and inform you with details of the daily exercises and other activities. It displays the informative data about different exercises and activities which may help you to know the benefits of particular exercise. 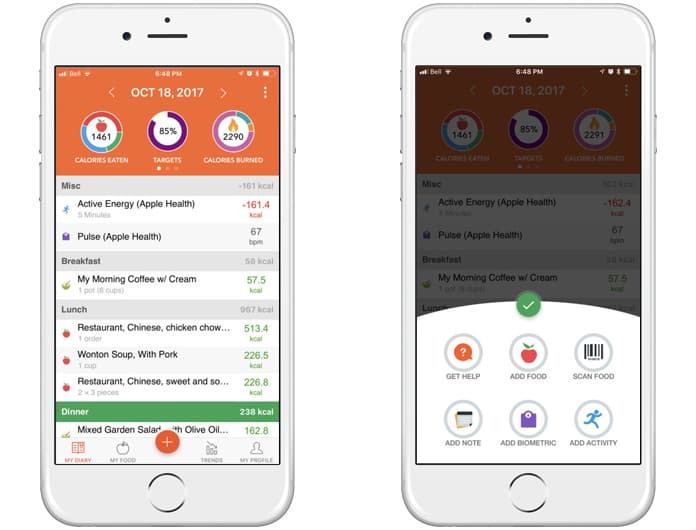 The use of this iPhone diet app is very simple and can divide your food into different nutrition data for better understandings. It is recommended to use this app to know complete information about your exercising and diet routines.